Obviously this is a matter in need of some serious debate, research, investigation and explanation. I don't have the time or the knowledge to do a whole lot of that myself, but I figure the ball has to get rolling someday. So, you may at first be thinking 'what the hell? How and/or why would anyone abolish the capital city of the UK and financial centre of the world (by some measures)?' If you are thinking that, you don't really understand what the City of London actually is. No, don't look at me like that. It's not that big sprawling urban mass. It's just that one square mile with the Beefeaters and the Guilds. 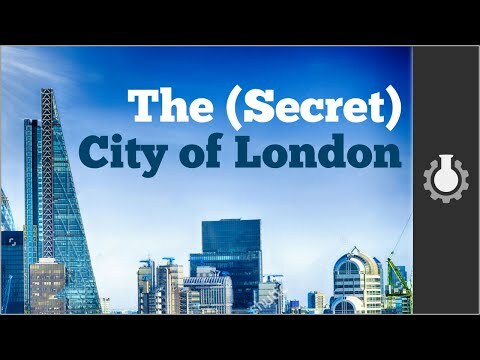 CGPGrey explain(s) it in their respectable, long standing and frankly interesting Youtube channel what the City of London is in these 2 videos. You see, I don't want to ask for the abolition of a physical place. That wouldn't even make sense. It's about the 'corporation' behind it, the entity behind the most anachronistic elephant in the room ever to become institutionally part of a country's very identity. Its warping effect on the rules by which financial corporations and others can play, on the balance of power in the United Kingdom and around the world, and on the economy of the whole world, may have given the United Kingdom something of an unfair advantage ('punching above its weight') but at the expense of the very principles it claims to uphold and arranges and signs off in treaties. The City of London is the crossed fingers behind the back of our country as it swears oaths of honesty in the court of the world. Fingers which are also somehow in many pies (see the videos). It is, by definition of its legal loopholedom, a shameful stain on our country's ethics which has not washed out (despite all the rain) in over 2000 years. I'm not going all conspiracy nut on this here: I am neither claiming it is knowingly used by corporations for some vast secret control apparatus, nor that anyone in charge is secretly reptilian. I am simply looking at it purely as a relic of the Roman Empire which exerts undue power over a country which in turn finds its attempts to reform its electoral system or to prosecute certain financial fraudsters vetoed by a technicality of the long forgotten past which remains all too convenient for the greedy. The age and quaint peculiarity of the systems and traditions of the City of London DO NOT put it beyond the reach of change, much though its customs and tourist-pleasing tricks would beg to differ. Furthermore, its tendency to attract such rich ne'er-do-wells leads to the grossly inflated house prices in London and the surrounding areas we see today; properties as investments without occupation are all the more easy to do when there is an unaltered bug-riddled legacy legal system to thread their ownership and monetary value through. I am not saying the abolition of the City of London will fix everything; in fact for a time there is likely to be a lot of corporate discomfort and a lot of legal wrangling as suddenly the headquarters of the perpetrators of the financial crashes we have seen of late become part of the jurisdiction of the laws of the United Kingdom proper, as opposed to the City's pick & choose. Massive turmoil in the markets will ensue, they will claim of course, but this will simply be the ones who sought to take advantage of this anachronism being hoist by their own petards. We need to stand up to this strange anomaly and tell them, 'either be part of the UK and uphold its laws or GTFO and be treated as an actual separate country (with import and export taxes and so forth), no simply commuting across the border'. Most importantly, if we do this it will then be A BIT MORE POSSIBLE to treat the bankers the same way Iceland did. The economic gridlock the chancellor has whitewashed over will finally be undone. Now, I don't know nearly enough of the legalese and practicalities of this idea by myself, so I put it to you folks. Perhaps this can be done? Maybe via pointing out that the system of corporatocracy in the City is anticompetitive and needs to be brought kicking and screaming, before the Competition Commission and the EU (assuming we are not out of the EU) or the UN. Or perhaps this can be one of those rare things that whoever is in charge Just Gets Done because it is necessary (somehow). I don't know. Figure out the semantics between you. 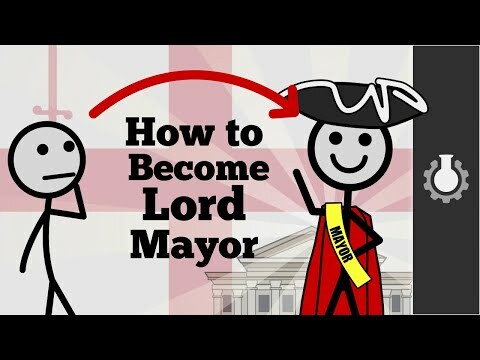 If CGPGrey has it right, this may well also lead to the end of the Monarchy. Meh. Of course, if we did this, such anomalies as the Isle of Man and the British Virgin Islands and so forth would need a good going over too. I should also point out we are likely one of very few political parties not looking for funding from companies with some link to the City. and the Green Party is already on it too. I don't think the City of London is particularly useful and it isn't at all democratic. I think whilst the City of London is a fascinating living ancient tradition, it doesn't serve modern Britain particularly well, nor does it serve the people actually residing within the City's bounds. I'm happy to be rid of it, though perhaps a little sad to lose the tradition. The traditions of Queen requesting permission and other things can certainly be retained mind you - just without any legal premise. From whom would she request permission if the City of London corporation were abolished? Whomever replaces the mayor. That part of London would still need some means of administration. That said, if the Queen rubber stamped a law abolishing the City of London, some arcane law might cause it to be a double-edged sword of a plan that backfires on her anyway. It's well worth researching deeper the ins and outs of such legal manoeuvres. I was thinking more specifically that part of London - whomever the chair of that local council would be or something. why have policies that the public (who will never understand what you're talking about, even after pananapapers) will call you crazy for? Which public do you mean? English voters won't understand most of what is discussed in the Welsh Assembly - but we don't scrap those policies. I'm not saying I don't agree with the policy, but I wouldn't tell people we want to "abolish the City of London". Really, we want to punish bankers for crimes they commit, and end legal loopholes that allow unfair profiteering. Also, I wouldn't count on us not requiring funding from these ppl. These financial corporations are the ppl in the world investing most heavily in blockchains and Ethereum technologies. I know these are some many years away from social acceptance, but I can't see how they won't form the core of the future of our society. We need policies that get us talked about. This one will. We need policies we can explain the benefits of. CGPGrey has sort of already done that, we can expand on that to provide an explanation to the public. The title is an eye-grabbing one, but I never said it had to be the policy title or name we end up using. That's why this is just a suggestion. These corporations are free to continue investing in blockchains and Ethereum and so on, they can do that anywhere in the world and they can do it right where they are now in London, but under the rule of the UK proper rather than this pseudo-micronation they have now. okay i understand better now you say "policies that get us talked about". Actually, given the monstrosities like PIPCU that the CoLC is responsible for spawning, yes we really should abolish it.